BidCentral invites you to join us online through social media. Join the thousands of contractors and suppliers that are already finding and managing projects with BidCentral. Sue has a deep background in developing and implementing growth strategies for global ecommerce marketplaces and B2B platforms with over 25 years in the tech industry. As CEO of BidCentral, BC’s largest construction bidding marketplace, she’s focused on aggressively expanding the public and private industrial, commercial, and institutional pre-bid and project content in the platform, with additional focus on developing services and partnerships to improve the user experience. Prior to her appointment to BidCentral, Sue was Vice President of Business Development at RevenueWire where she was responsible for revenue growth, global expansion and strategic channel development. 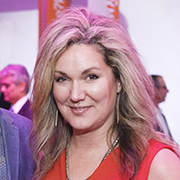 During her tenure RevenueWire became an award-winning industry leader in performance marketing and online payment processing. Before RevenueWire, Sue was head of Sales and Seller Management for global bookselling marketplace Abebooks.com, which was later acquired by online giant Amazon.com. 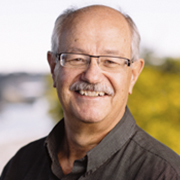 Warren Perks leads the BCCA and integrated groups as VP Industry Standard Practices, promoting the adoption of standards and practices for the BC construction sector on numerous matters. Starting out as a draftsperson and working extensively as a construction project manager in Alberta and British Columbia, Warren brings hands-on experience and understanding on numerous construction sector issues.